We can sum up our approach in four simple words: it’s all about you. After all it is your garden. Typically our projects move forward in three phases. The first starts with our initial consultation. The aim of this is to get to the heart of what you want from your garden - style, theme, how you will use it, what you want in it, what you like and what you don’t. We conduct an initial survey of the space and prepare an outline proposal for you, which can include a preliminary budget costing. You can find more samples of our garden design and planting work in our online portfolio, or contact us to find out more. 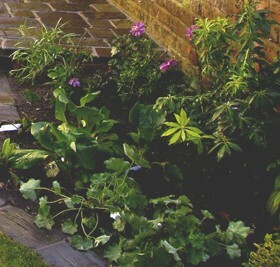 If you like our proposal then we move on the the garden design phase. We will present our draft design plan and then refine this with you, in stages, to a full colour garden plan taking into account your feedback. Like each garden, every client is different. 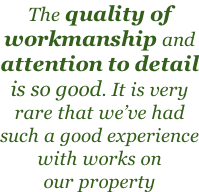 Some like to be very hands on with the design process, others like to sit back and let us do the work for them. 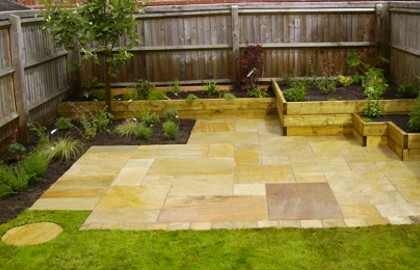 There is no limit on the number of revisions and we help you chose the right materials and plants for your garden, as well as making our own recommendations. 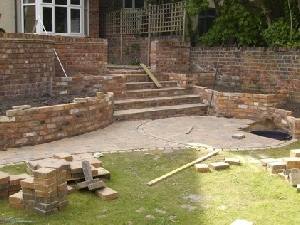 Once the garden design is finalised we can prepare a full construction cost for you, or not, depending on your preference. Any additional items you want us to source, such as furniture or children's play equipment, will be included at this stage. We can manage the construction of a project for you using our recommended contractors, plant it for you, or if it is a small job we can undertake the work ourselves. Or you can use your own contractors to do the work based on our plans. We believe that this way of working offers you, the client, the greatest flexibility and choice.